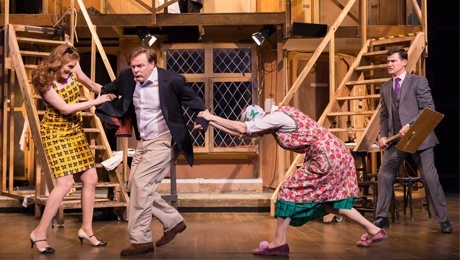 Award-winning comedy Noises Off is proving it can stand the test of time. Despite premiering in 1982, it has seen a revival in recent years in London's West End and is now heading on tour with a stop-off in Birmingham. A cast, including Neil Pearson and Maureen Beattie, brings Noises Off to Birmingham's New Alexandra Theatre from June 24 to 29, 2013. A play within a play, Noises Off is about the backstage antics of a touring theatre company and takes the audience on a journey of shambolic performances, drunken antics and rows. The play won both the Olivier and Evening Standard Awards for Best Comedy, and is the highest grossing show in the history of The Old Vic Theatre Company. Yet despite these achievements, playwright Michael Frayn, who also has screenplays including Clockwise to his name, said he often curses the day he ever decided to write it. 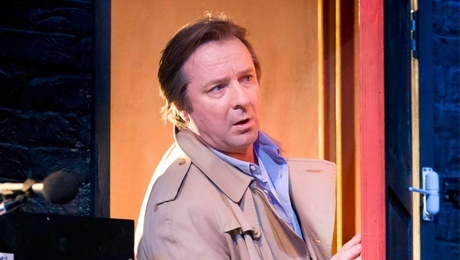 It was during its preview at the Lyric Theatre in Hammersmith, that Frayn realised the last act needed to be changed, forcing him to make quick rewrites. "It turned suddenly serious halfway through Act Three," says Frayn. "But it was obvious that the audience wouldn't tolerate existential angst at that point in the evening." It meant the writer continued to add rewrites each day until the cast told him they would no longer learn any more new lines. "Each time we rehearsed a new cast during the run at the Savoy, though, I did some more work on it, and again when it opened in Washington and when it transferred to Broadway," added Frayn. There have been reports that some members of the theatrical profession are less than amused by Noises Off's depiction of actors as dim-witted, emotionally immature and inclined to alcoholic excess, to which Frayn admits the play is a "very unfair picture of actors." "Noises Off is a farce and the characterisation in a farce has to be a bit two-dimensional," says Frayn. "Anyway it's not completely unknown for actors to have affairs and rows with one another." The play is 2hrs 20 minutes long.